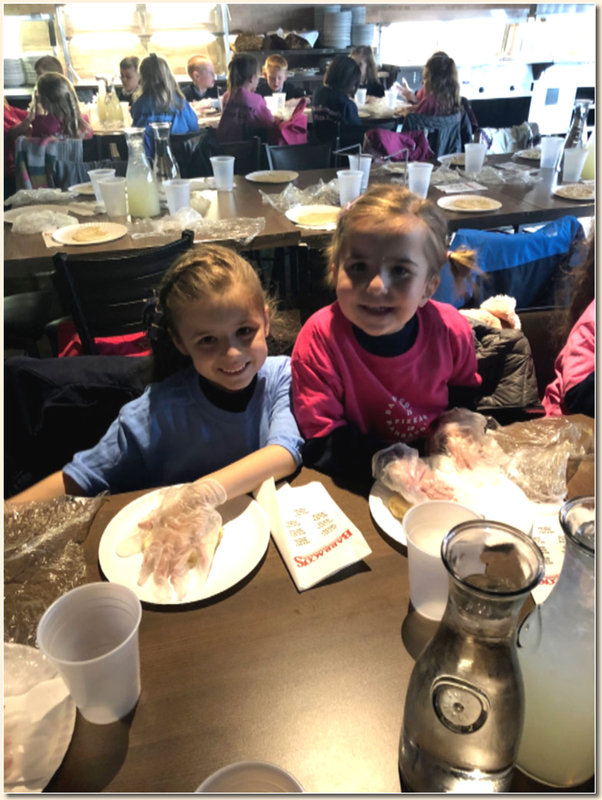 Our Kindergarten classes took a trip to Barraco’s in Evergreen to learn how to make pizza! Here is Alex Garcia and Nora Bruton making their own personal pizzas. 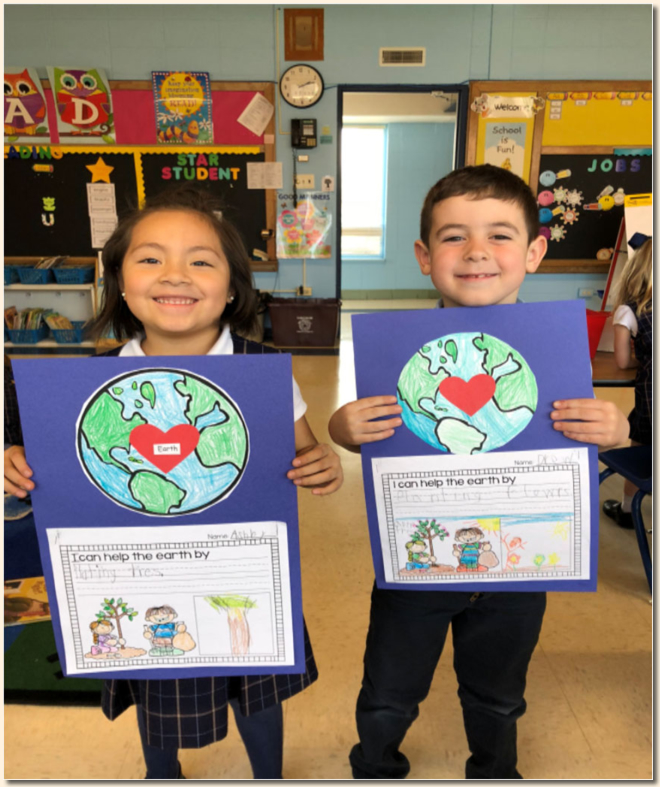 Kindergarten Room 16 students Ashley Manzo and Drew Yerkey celebrate Earth day! 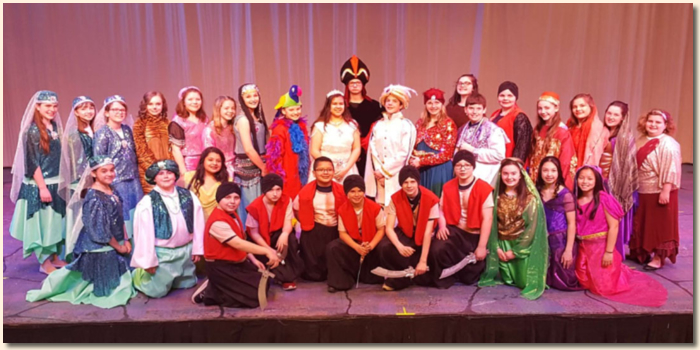 The St. Linus Players presented the musical “Aladdin”! 5-8th graders are the performers and crew! Mrs. Haynes, Mrs. Brodsky, and Ms. Cunningham for all their hard work. We hope you enjoyed this wonderful production. 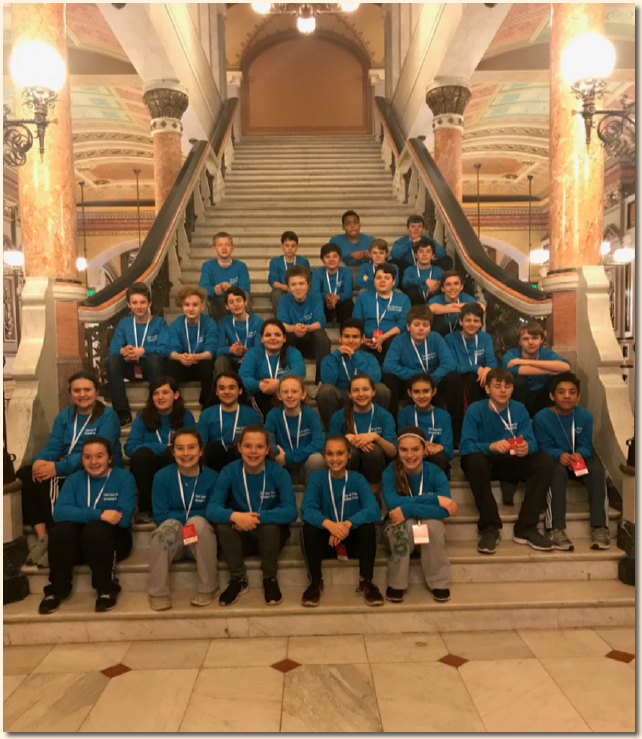 Here is 7th grade on the steps of the Capitol Building during their trip to Springfield Illinois. This was just one stop of many, including New Salem and The Lincoln Museum. 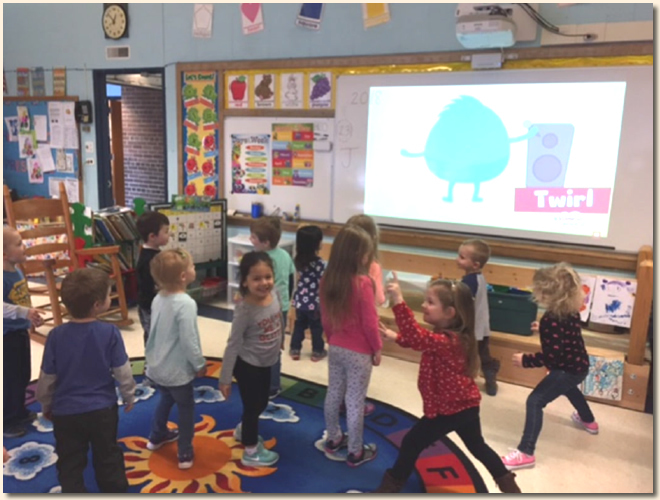 to do our daily calendar and showing off their listening skills while playing Freeze Dance. 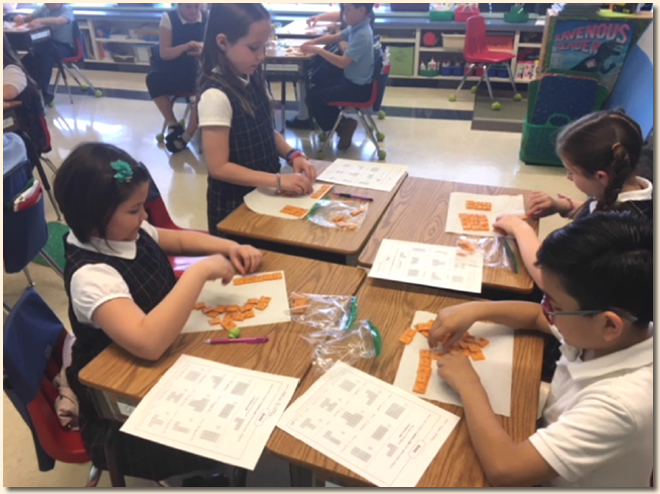 Mrs. O’C’s class practices their area and perimeter skills with Cheez-It Crackers. It is always fun to be able to eat your models after building them! 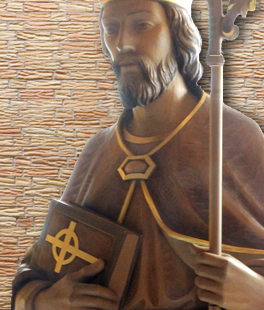 which depict the last 12 days before Easter Sunday. Mrs. Minarik, their religion teacher, was proud of their work. 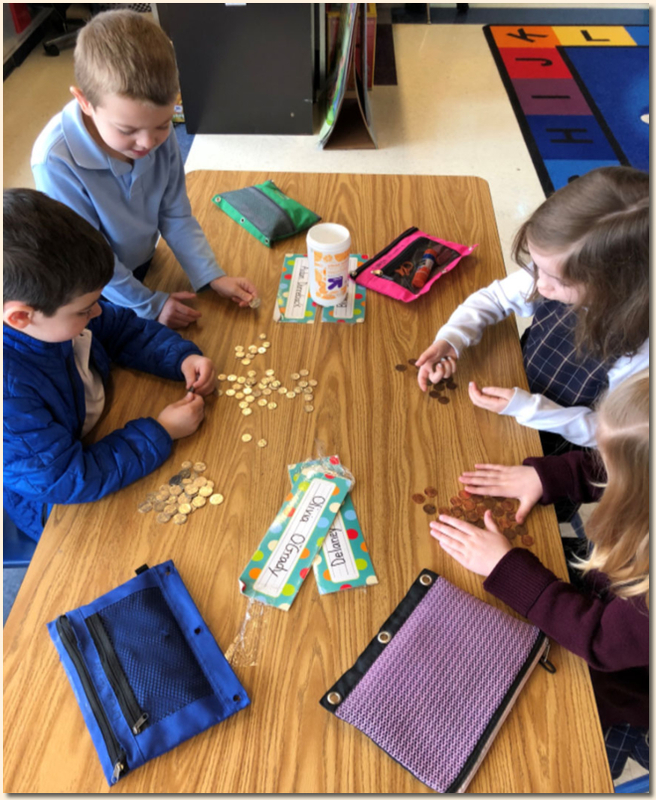 Kindergarten Room 16 students sorting and counting coins during a math center. This is Derek Drag, Drew Yerkey, Margie Murray and Delaney Weimer. 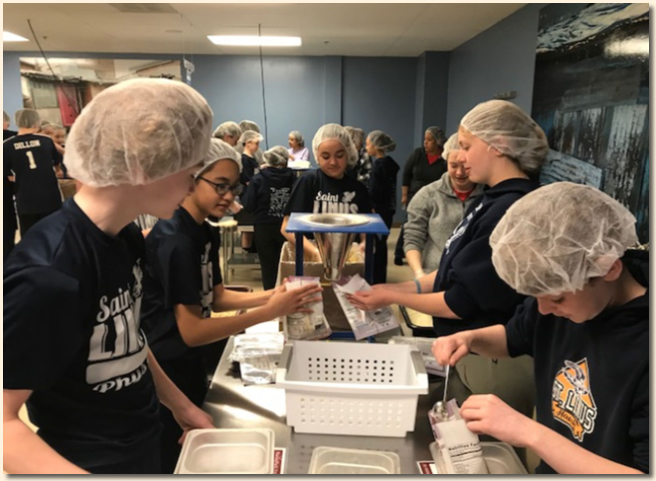 Our Junior High students went to Feed My Starving children this week for a service project. They packed 160 boxes which will do so much good. Thanks to all of our adult volunteers especially Mr. Kress, Mrs. Bojan, Mrs. Duenas and Mrs. Wantuck. where they had to incorporate at least one simple machine. Unfortunately no leprechauns were caught! 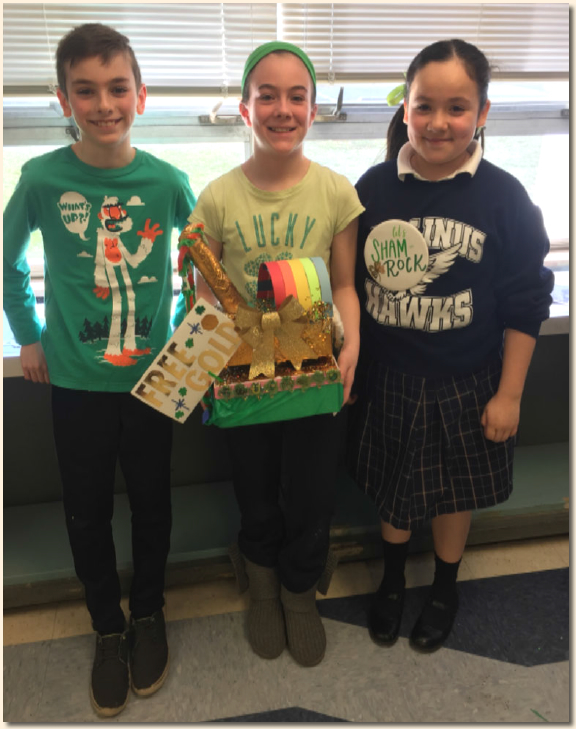 Here are Luke Rumsa, Olivia Mullarkey and Maddie Marin showing off their trap. 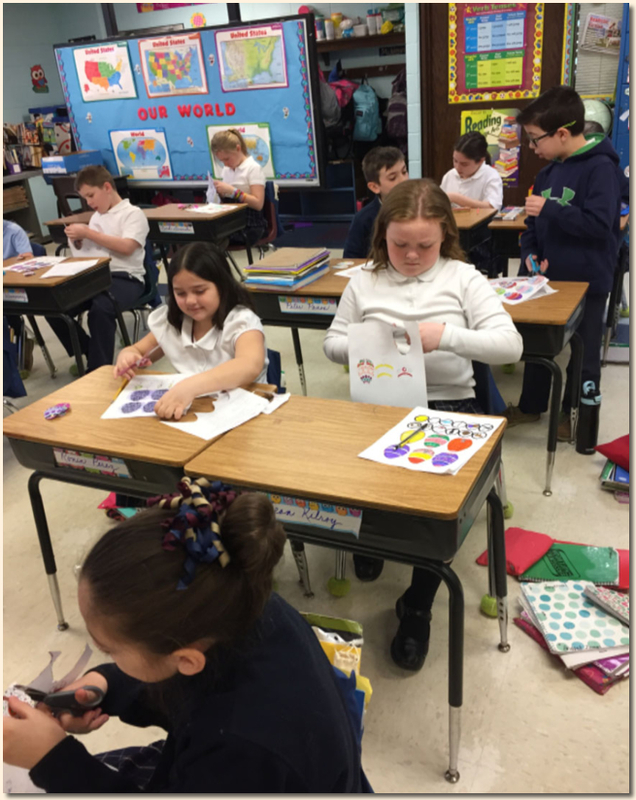 Some first graders being creative in the Cardiff Center. 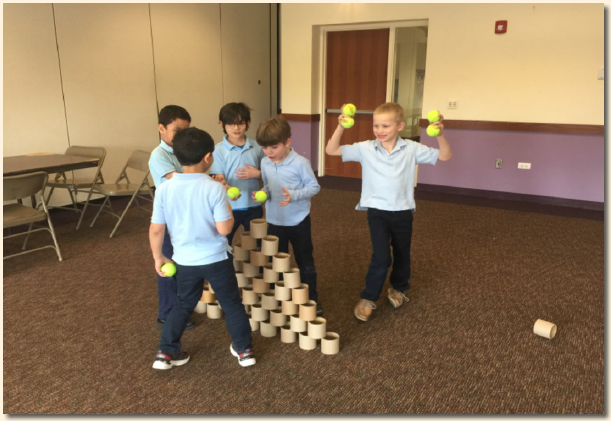 Here are some students from Room 14 during indoor recess being creative with cans and tennis balls! There are different ways to measure a Condor. 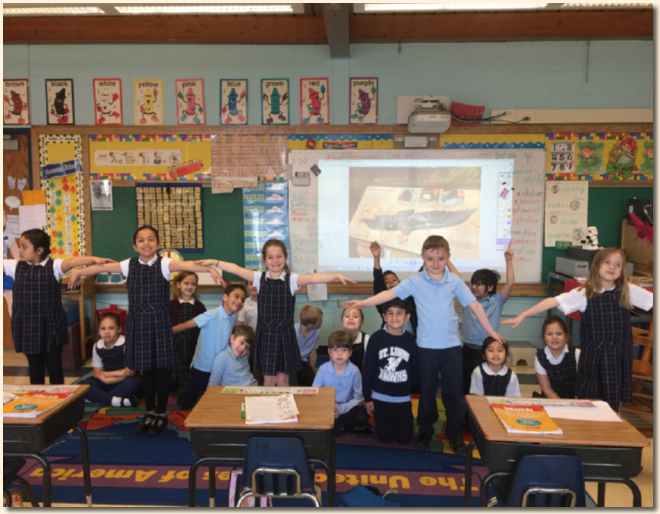 It’s about 4 and 1/2 arm lengths of first graders. were introduced to in their reader.